Mozilla released a statement yesterday revealing that their search engine of choice was going to change; starting in December 2014, Yahoo will be the default search engine on the Firefox browser in the US, rather than Google. What’s more, they will no longer have one default search engine worldwide; instead the Firefox browser will use a different search engine depending on the country or continent in which it is being used. For the past 10 years Google has been the default search engine for the Mozilla Firefox browser so this move to one of their biggest rivals, Yahoo, must be a bit of a blow to Google’s ego. Firefox users conduct over 100 billion searches per year and, despite the fact that their popularity has decreased slightly in recent years, they still have about a 15% share of the US browser market. Yahoo, in turn, currently owns about 10% of the US search market and this deal certainly looks like it will be good news for both parties. Admittedly, that statement is a little bit woolly and doesn’t really mean very much when you pick it apart; basically, they liked Yahoo’s proposal best. As Google paid Mozilla $300 million per year to be Firefox’s default search engine, whatever your conclusions about Mozilla’s motives, you can bet your bottom dollar that a fairly hefty fee comes into the matter at some point or another. What Do Yahoo! Think About It? Obviously, they’re quite pleased! Yahoo’s CEO, Marissa Mayer, released a statement yesterday revealing that “search is an area of investment, opportunity and growth for us. This partnership helps to expand our reach in search and also gives us an opportunity to work closely with Mozilla to find ways to innovate more broadly in search, communications, and digital content”. As yet, Google have made no statement in response to the release of this news; I can understand that, it’s not the sort of thing you shout from the rooftops. They have not lost out entirely though, as this new agreement with Yahoo is only applicable in the US. Here in Europe, where Google has a much greater dominance of the search market, there has so far been no announcement that the default search engine will be changing, so I’m going to presume that European searchers using the Firefox browser will still get Google as their default search engine. In addition, Firefox users worldwide – as with those of any other browser – will still be given the choice to change their default search engine should they wish and Google will obviously be in the list of available alternatives, so they won’t be losing out altogether and those loyal to Google will probably take the time to change their browser settings. Admittedly though, the majority of users will just go with the default, so I would imagine that Yahoo’s share of the search market is about to increase, even if only slightly. As I mentioned above, Yahoo is not the only winner here; for the first time in over 10 years, Mozilla is dispensing with the idea of having one universal search engine supplier and has announced that different regions worldwide will each have their own default search engine provider. So, as we have already discussed, Mozilla’s lack of comment about the European market suggests that Google will remain the default provider here. In Russia, however, Yandex has won the race to become the default search engine, whereas in China the search giant Baidu has understandably become the chosen one. For everywhere else in the world, it would appear that the user has the ultimate choice, as Firefox will provide a staggering 61 pre-installed search engines in 88 languages. I didn’t even know there were that many search engine providers and I’m supposed to be an SEO Consultant! At the moment, it’s difficult to tell really; on the face of it, it looks as though this move by Mozilla is bad news for Google and maybe it is a bit of a blow to their ego. Long term, however, only time will tell whether or not this proves to be the move that topples Google from that very high pedestal. Obviously, it’s good news for Yahoo and may also be a good move for Firefox, it could just be the making of both parties, but there’s always the possibility that users may have become so comfortable with Google that they’re willing to take the time to change their default search engine in their Firefox browser. 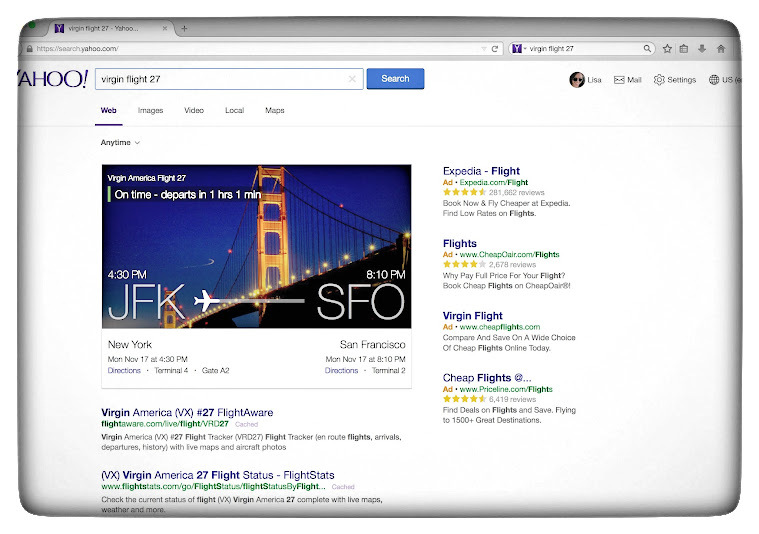 Yahoo’s move towards a more Google-like search results page does indicate that they may fear this themselves, or they may just be emulating a formula that works. On the other hand, given the fact that this move has only been announced as applying to the US, Russia and China (admittedly three massive countries) and given the fact that Firefox has only a 10% share of the search market, the adverse effect on Google may be minimal. As with everything and everyone else in the world of SEO, we will watch with interest and see what happens.